Over the course of your time in the United States, someone will die. Your neighbor, your neighbor’s relative, or maybe the relative of a co-worker. What should you do? What should you say? I have written about American death and dying in the past: caring for a dying loved one, hospice vs. hospital, funerals, what to say, memorial service. 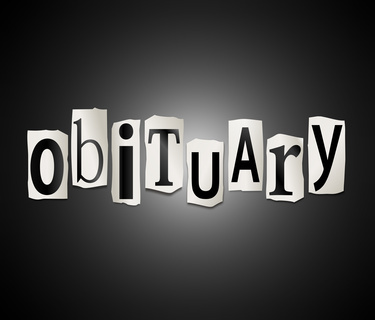 Today, I’d like to take a closer look at the obituary, or death notice, which will appear in the newspaper. This will give you much valuable information about the person you knew or about his/her loved one. The following death notice appeared in my hometown newspaper this week. It was emailed to me by my sister who still lives in the area. The man who died was the father of our high school classmates. From this obituary, you will know the following information. Death and dying are very tricky issues in every culture. If you have questions about a recent death in the United States, please share them with us here.